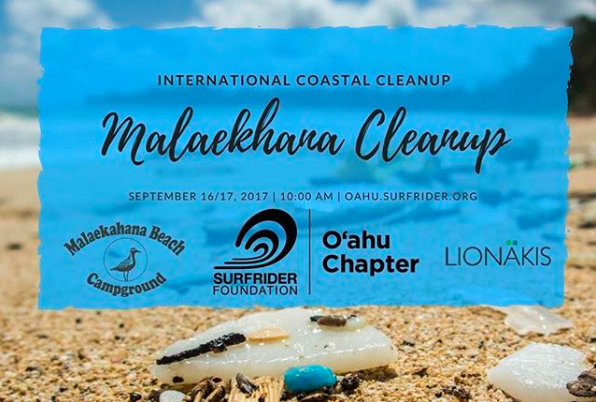 This weekend, September 16th-17th Surfrider’s Oahu chapter hosts a beach cleanup at Malaekahana Beach Campgrounds in Laie (56-335 Kamehameha Hwy, Laie, HI 96762). Come be a part of the annual International Coastal Cleanup, where thousands of volunteers team up to reduce the amount of trash along our coastline and in our oceans. There will also be stations set up to return the collected plastic too. On Sunday all the trash collected over the two days will be weighed and transported to the collection station. Come either one or both days to help reduce the plastic pollution along Oahu’s Windward beaches and be a part of a global campaign to reduce the amount of plastic along our coast and in our ocean. If you need more motivation to come to this weekend’s cleanup check out this mesmerizing video at Kailua Beach from @sustainablecoastlinehawaii earlier this year. 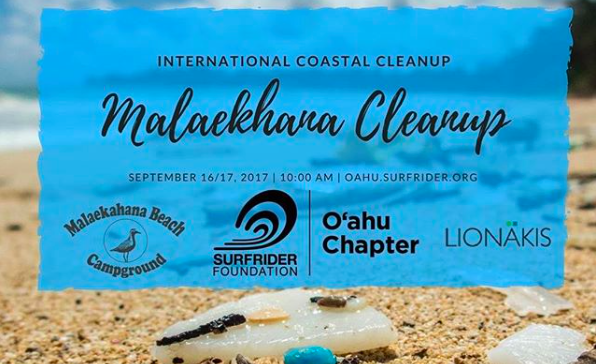 For more information about the event be sure to check out the Malaekahana Beach Cleanup’s Facebook.